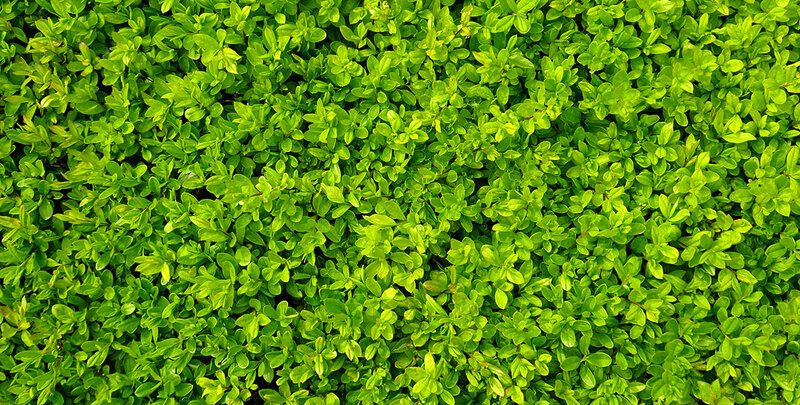 The box, also known by its Latin name buxus or its North American common name boxwood, is a very slow-growing, hardy evergreen shrub. 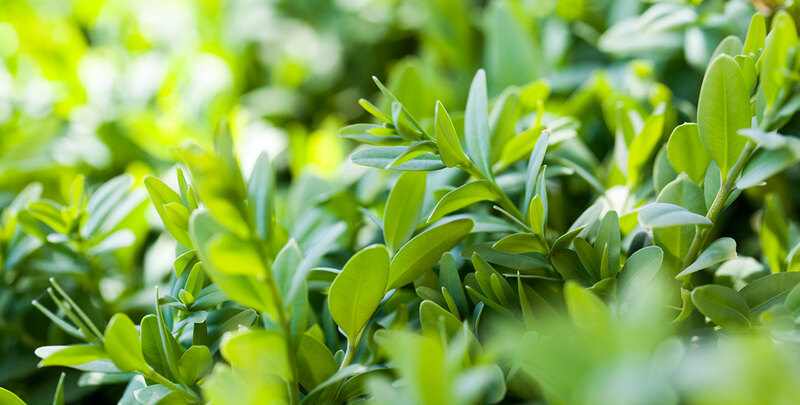 The species buxus sempervirens, which is known as the European box or the common box in English, is native to southern and western Europe and has been in use as a hedging plant for centuries. Therefore, it can be viewed as one of the most traditional hedging plants around. While it is most commonly used as a hedging plant, some people decide to take it a step further and use these decorative plants for topiary purposes, for which it is an ideal specimen due to its high resilience to pruning. This makes the box one of the two common species of hedging plants that fulfil the requirements for topiary, alongside the yew. In a nutshell, the box is not only evergreen, shade tolerant and easy to maintain, it can also be trimmed into almost any shape. Box trees are very tolerant of trimming and grow very slowly, with an average growth rate of at least 10 and at most of 20 centimetres per year, which is ideal for topiary, as fast-growing plants are hard to keep in shape. Naturally, its growth habit also makes the box a perfect plant for hedging, as it will create a shapely, dense and durable evergreen hedgerow that will stay green throughout the year. The box is a very versatile hedge plant that will fit a traditional garden just as well as a more contemporary garden. Box hedges are green and elegant even during the cold winter months and they have never gone out of style. This fits the status the plant traditionally has as a symbol of eternity. Its wood is excellent for fine wood carving due to its fine grain. It is one of the very few wood types that is denser than water. Despite its relatively limited availability, boxwood is often used for chess pieces, high quality wooden spoons and several musical instruments, such as the recorder and several hardware elements of various stringed instruments. There is a common misunderstanding that the box originates from the Mediterranean region and therefore requires a dry place in the sun. However, the buxus sempervirens is native to Europe and will therefore grow fairly well in our climate, even in the shade. If anything, the heat might even harm a box hedge, as its branches are prone to drying out when a box hedge is pruned in hot weather. While this species does actually grow in the Mediterranean region, it usually grows on shadowy mountainsides, where it has adapted to cooler circumstances. In the wild, this species can become a beautiful tall shrub. That does not mean it will just grow anywhere though; wind and humidity are possible threats to the box. As it is so easily encouraged to grow in a neat, compact habit, the box makes the perfect hedging plant for formal hedges. 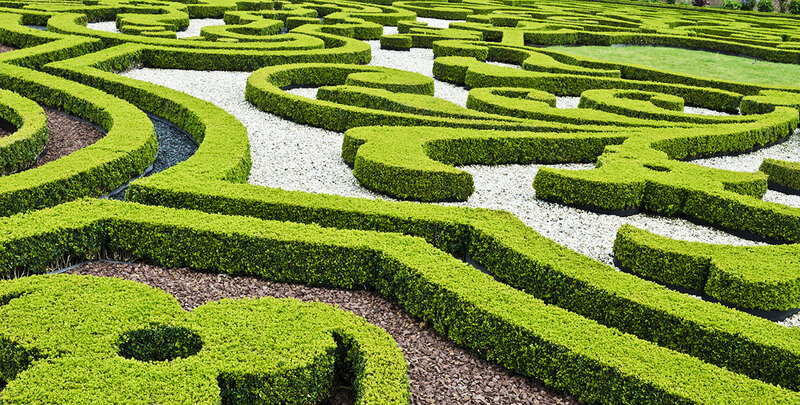 Trimming a box hedge or shape can be done in the early or late summer, while pruning is best carried out during springtime. Be careful not to trim too rigorously, as the branches and leaves will grow back very slowly. This is naturally a downside of its slow growth. The common box has the ability to grow quite large; if you allow it to, it could reach a height of up to 5 metres. It will thrive in the shade, semi-shade or in the sun, though its leaves may be scorched by the full sun, certainly in combination with dry soil. It is possible to plant a box hedge in dry soil, as long as it is kept fertile. Normal to damp soil is recommended. For the best results, the box trees are planted 30 centimetres apart in well-prepared, fertile soil and watered regularly until well-established. Make sure that the soil or compost is never allowed to dry out. While pruning twice a year is enough to keep your box healthy and neat, you could choose to trim it back a little more often for denser results. Box species are susceptible to a number of diseases, such as box blight. While this has not made the buxus any less valued as a hedging plant, some people may prefer Japanese holly as an more hardy alternative to box. Why Choose a Box Hedge? When you mention topiary, changes are pretty high that people will think of the box. While it is an excellent plant for topiary, it also lends itself very well to regular hedging purposes. Low, formal box hedges are especially common. If you encounter a hedge in a cubical or conical shape, it is very likely that you are dealing with a box hedge. The box offers you the opportunity to have an elegant, green hedge in your garden throughout the year with relatively little maintenance. 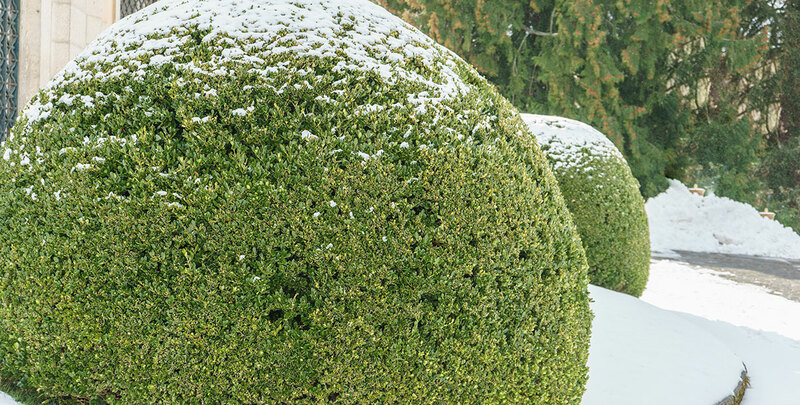 Box shrubs are available with root ball, in pots or – if you wish not to wait until your box hedge reaches its desired height – as instant hedges. All that will be left for you to do is to plant the box hedge and cut it into its desired shape. After that, your garden will be profit from the elegance of your box hedge, even during the cold, dark winter months.